Wellington and East Gippsland are operating pop-up Recovery Centres for people affected by drought and bushfires, in Briag, Heyfield, Rosedale, Stratford, Cann river, Omeo, Orbost and Buchan. Anyone is welcome to drop in, have a chat, a cuppa and obtain information and advice about how to manage this difficult time. Support agencies will be available to provide assistance to visitors. More information: Wellington Shire Council’s Municipal Recovery Manager on 1300 366 244. Tinamba soil temperature averaged 19 degrees for the last week. Tip: To convert mm to megalitres/ha, divide by 100. Eg. 50mm = 0.5ML/ha. Effective rainfall = daily rainfall minus 2mm. ETₒ and the “crop coefficient” (conversion factor) of 1.0 applies to a healthy productive pasture 12 cm high. MID average daily pasture water use over the last week was 2.5 mm/day. The approximate MID flood irrigation interval based on last week’s daily pasture water use rate was 14 days. (This figure assumes that 30 mm of readily available water is held in the pasture root zone divided by the 2.5 mm/day = 12 days and then add an extra two days to account for waterlogging). This does not take into account any rain your farm may have got during the week which will extend the interval. Spray Irrigators in the MID needed to have applied on average 17.5 mm of irrigation water for the week to meet pasture water use (2.5 x 7). This irrigation figure does not take into account any rainfall on your farm, which must be subtracted from the required irrigation figure, and assumes that the spray irrigation system is applying water at 100% uniformity. This figure may be greater depending on specific spray irrigation system uniformity. For Thursday 21 to Wednesday 27 March. The predicted weekly pasture water use for the Macalister Irrigation District is 24 mm per hectare (0.24 ML/ha), or a pasture water use rate of 3.5 mm/day. The intention of this service is not for the information to be used in isolation when making decisions about irrigation scheduling. This publication is provided solely for information purposes and no representation or warranty is made as to its quality, accuracy, completeness, suitability or fitness for any particular purpose. You should make your own inquiries as to its appropriateness and suitability for your particular circumstances. The State of Victoria as represented by its Department of Economic Development, Jobs, Transport and Resources accepts no duty of care and disclaims all liability in relation to use of this publication. AgVic also provides weekly ET email updates for North East Victoria (contact dennis.watson@ecodev.vic.gov.au), Northern Victoria (robert.oconnor@ecodev.vic.gov.au) and the Mallee (maxine.schache@ecodev.vic.gov.au). 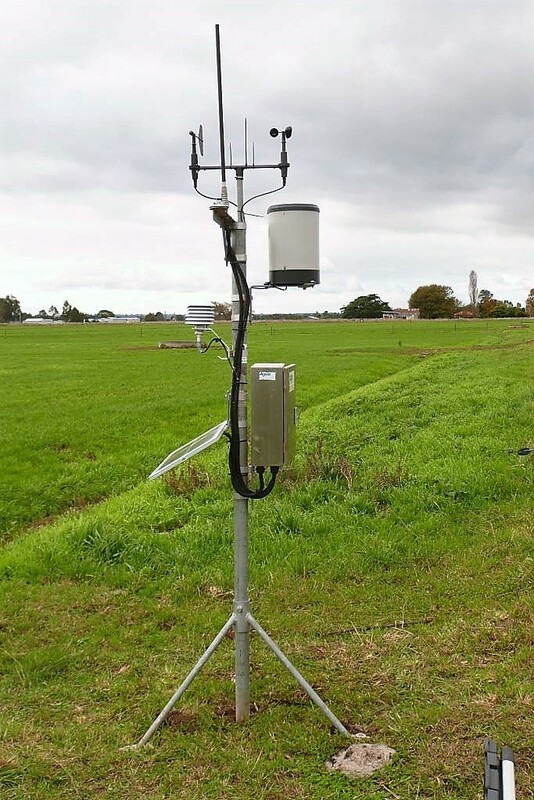 For more detail about using evapotranspiration data refer to this Agriculture Victoria fact sheet “What is evapotranspiration and how do I use it to schedule irrigations”or this scientific paper. If you would like to subscribe to this email or if you have any questions, comments or feedback related to this email service please don’t hesitate to contact Alexis Killoran on the email below. Copyright © 2017, Agriculture Victoria*, All rights reserved.